Do you want to turn your team into a well-oiled collaboration machine? Hosting Instant Challenge Labs and Workshops could be the key to your team’s Instant Challenge success! If you’re a school district or campus coordinator, this is a great way to get your teams to experience the different types of Challenges they will face in their Instant Challenge rooms at their tournament. These types of activities will also help your teams build chemistry and teamwork skills. What if the team doesn’t use your idea? How do we respond to that? By setting guidelines, we are able to give clear expectations for collaboration and it sets the students up for success. Then we explain the Challenge, just as an Appraiser would do in Destination Imagination (DI). For Challenge Lab, we provide students with either Task or Performance-Based Instant Challenges. We read the instructions, allow time for brainstorming as a team, and then give the teams time to build or plan their performances. Students then evaluate their tasks or act out their performance for the audience. Finally, we go over points and talk about ways the students could improve for the next Challenge Lab. The students enjoy going to the Challenge Lab, and it gives us a chance to share a little piece of what Destination Imagination is all about. Having a Challenge Lab on your campus is an awesome way to get your teams working together to use critical and creative thinking. It’s also a fabulous way to grow your Destination Imagination program. Students from Midlothian ISD in Texas participate in a Challenge Lab. Being a campus DI coordinator is a great way for you to support your school’s DI program. As a campus coordinator, it’s important to give your Team Managers support. If Team Managers feel supported, they are likely to return for another season of DI. One way we like to support our Team Managers is by creating Instant Challenge kits. These are ready-made kits with a variety of materials for the Team Managers to use in their Instant Challenges. Team Managers can borrow these kits and then return them at the end of the season. We are very fortunate to be a part of Texas DI and the Greater Fort Worth Region, where our board supports our teams with Structure Workshops, Technical Workshops, and Instant Challenge Workshops for teams both before and after the Regional Tournament. These workshops are very beneficial as they offer students opportunities to work with a variety of materials and participate in a range of Challenges that they may have never had access to before. As a Regional Director or school district coordinator, consider offering an Instant Challenge Workshop for your teams. There are many websites that offer free Instant Challenge-like activities, or you could purchase an Instant Challenge book from the Destination Imagination Store. About the Authors: Casey Nelson and Kim Moss are Gifted and Talented specialists, as well as Destination Imagination Coordinators, for Midlothian ISD in Midlothian, Texas. In addition, they run the Challenge Lab and have been Team Managers for three years. 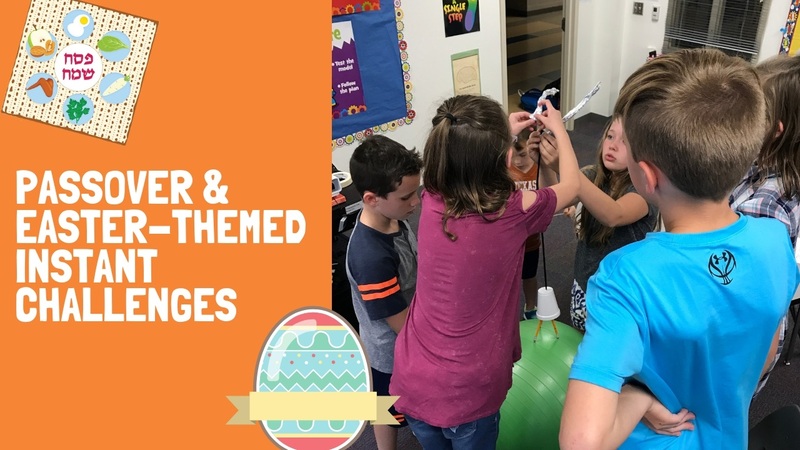 They enjoy the many creative hats they wear as they continue to promote creativity, problem solving, and innovation in their school district.